At the outset, we, the undersigned writers, journalists, university teachers and social activists of Nepal, strongly oppose and condemn the arrests of 5 prominent Intellectuals : Varavara Rao, Sudha Bharadwaj, Gautam Navlakha, Vernon Gonsalves and Arun Ferreir, in India. On 28th August 2018, simultaneous raids were conducted by Police on the premises of prominent human rights and civil liberties activists and intellectuals – Senior Writer and Poet Varavara Rao, advocate Sudha Bharadwaj (National Secretary, PUCL) in Faridabad, Father Stan Swamy in Jharkhand, ‘The Hindu’ journalist KV Kumaranath, English and Foreign Languages University (EFLU) Professor Satyanarayana, ‘Namaste Telangana’ journalist Kranthi Tekula – all in Hyderabad, Anand Teltumbe (General Secretary, CPDR) in Goa, Gautam Navlakha (founder member, PUDR) in Delhi, Arun Ferreira, Writer Vernon Gonsalves and Advocate Susan Abraham in Mumbai. Among them, Varavara Rao, Sudha Bharadwaj, Gautam Navlakha, Vernon Gonsalves and Arun Ferreira were arrested on false and fabricated charges. Now the Indian Supreme court has ordered them to be kept under house arrest instead of police custody, until it rules next week on a petition challenging their detention. In fact, they are still under custody. Since the Bharatiya Janata Party (BJP) came to power in 2014, assaults on public intellectuals, humanists, rationalists and secular forces have reached a feverish pitch. This is part of an all-round attack by the Brahmanical Hindu fascist forces against the Indian people. These attacks are simultaneously ideological, political, social, religious, ethnic, economic, cultural, juridical and environmental – carried out with violent and non-violent, legal and illegal, constitutional and extra-constitutional means. The Hindutva fascist Modi regime is not only the enemy of the oppressed Indian people, it is also the prominent enemy of the people of the South East Asia. Since longtime, we Nepalese people are fighting against Indian expansionism and its Nepalese lackeys. We Nepalese people always stand firmly with the oppressed people of India. We express our strong solidarity with the people of India, who are fighting against the fascist Modi regime. 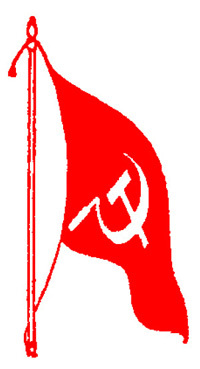 Now, it is necessary to launch a joint campaign against Modi’s fascism and their lackeys in Nepal. We demand the immediate and unconditional release of those prominent Intellectuals. We also urge for creating of initiatives to begin a revolutionary movement demanding for their release and for other vital issues.